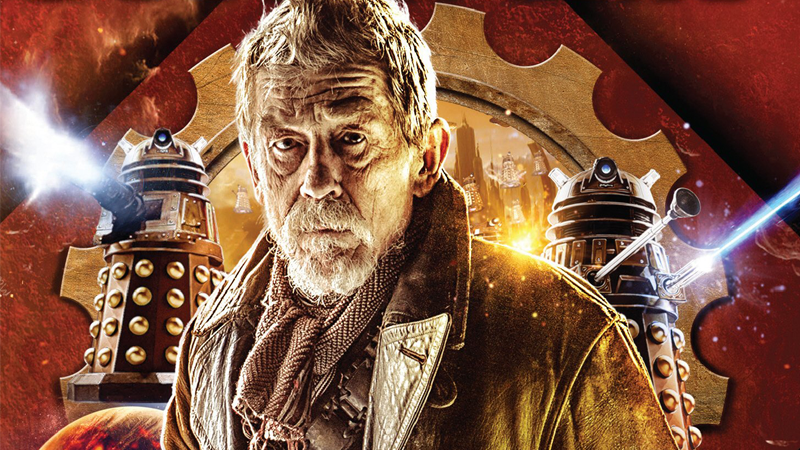 We’ve only seen a brief snippet of John Hurt’s Time-War-ravaged incarnation of the Doctor, just his appearance in Doctor Who’s 50th Anniversary in 2013. But next month, that’s going to change, with the release of the first in a series of War Doctor Audio plays—and you can hear Hurt in action right now! Once again, the Radio Times have unveiled a clip from the first story in the series, The Innocent—shortly after their recent debut of David Tennant and Catherine Tate’s return to Doctor Who on audio—which features Hurt’s war-weary Doctor plotting a suicidal attack against the Daleks (while also telling his own people to get stuffed and leave him be, as the Doctor is wont to do). You’ll have to head on over to the Radio Times’ website to hear the clip, but it’s a delight to hear Hurt in action again. It’s a harbinger of good things to come too—as we’re getting not one, but at least 12 new adventures with the War Doctor, spread out over the next year or so, with the release of four different box sets of stories. The War Doctor: Only the Monstrous, the first volume in the series, will be available in digital and physical formats next month, and will set you back £20 (around $30).